D75BNO is a standard Grade 2 surface contact. 6 wire clamping screw down terminals are provided on the PCB – two for the switch, two for tamper and two unlinked spares. 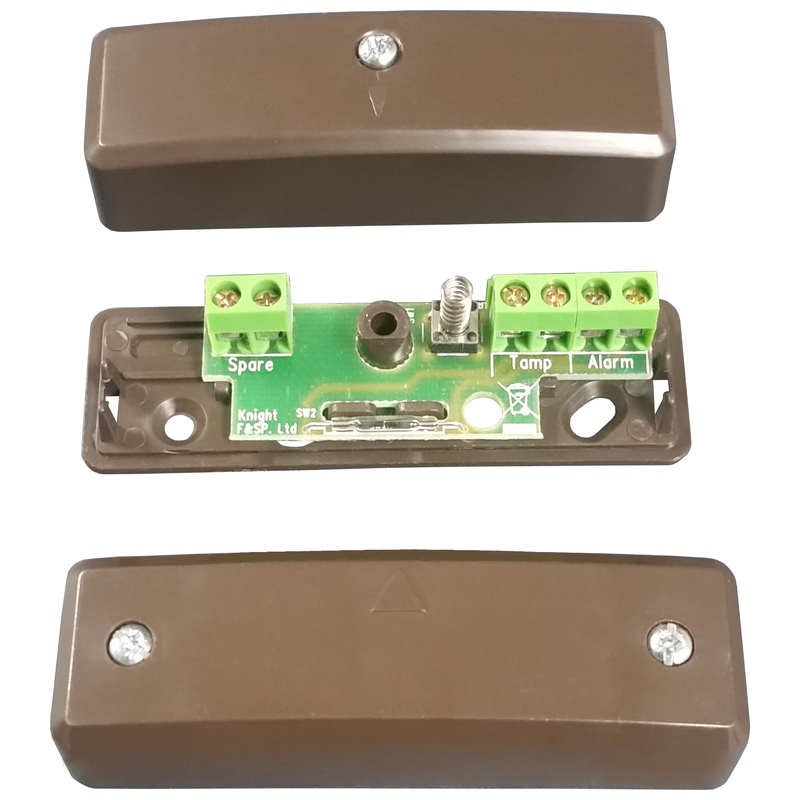 The tamper on this contact is provided by a sprung microswitch, which will detect removal of the lid.